It’s been a mixed bag—I started out in this relatively awful hostel on the (also relatively awful) Sukhumvit 11, which has a distressingly strict no-guests policy … and bedbugs, which at the daily equivalent of close to THB 30,000 a month is not on. But then the girl I came down here to meet took me to Chao Samran on the weekend with her friends for one of the best parties I’ve been to in my life, I spent a couple of days finding a new apartment to stay at off Sukhumvit 22, and I can finally relax at “home” and do some work again. And last night we went to Asiatique, which has a spectacular view over the river from the deck. 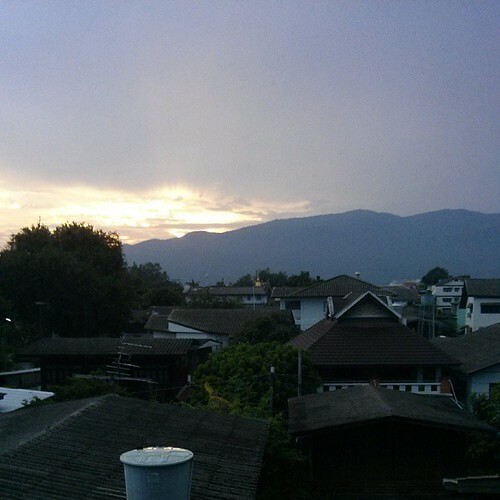 Comparing it to Chiangmai—well, they’re two vastly different things. 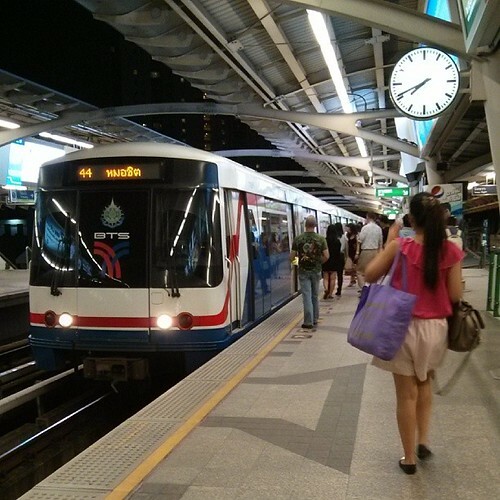 Bangkok reminds me of Tokyo: it’s maybe Tokyo before the property bubble and the subsequent 20 years of stagnation. Chiangmai makes me think of a small Japanese city as it might have been 70 years ago. Bangkok (or at least this part) can be almost expensive as Australia, which makes me feel very lucky that business is good right now; in Chiangmai it’s almost inconceivable that you could spend as much money as you could back home. Chiangmai has a restorative, meditative quality and human scale; Bangkok has an immense, fractal variety and modern grandeur. They seem to belong to entirely different universes.